Campaign: I want to tackle boredom in my area. I live in the countryside in Cumbria where there’s not a lot to do so I’m on a mission to tackle boredom to help give young people something to do rather than focus on all the negative influences. I used to get into trouble when I was in school - mainly because I used to mess around a lot. There wasn’t anything to occupy my time and to keep me out of trouble. Then I discovered breakdancing. It gave me something new to do and was the biggest change that’s happened in my life. My aim now is to use my passion for breakdancing to help change the lives of other young people, especially in Cumbria. Myself and a group of friends have joined together and we now run workshops and events in the area to encourage people to get into breakdancing – whether it’s to help keep them out of trouble or showcase their skills or both! 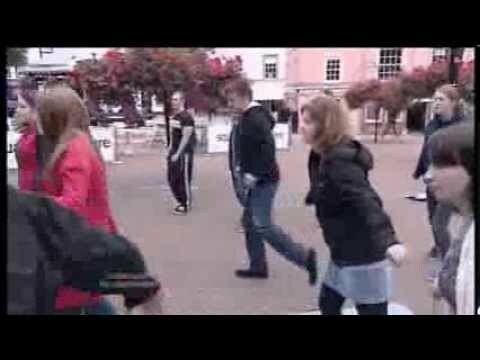 As part of my Fixers project I made a film that went out on the local ITV News to talk about my passion for breakdancing and how I was encouraging others to get involved too. We even managed to get the local news presenter Ian Payne to have a go at it – he seemed to enjoy himself! We’ve been getting some really positive response from people who want to give it a go themselves and it seems to be really making a difference to people’s lives. If you want to know more about me and some the things I've been through, check out my own website - there's a link to it below.